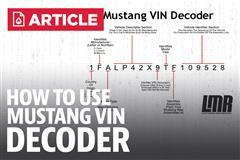 What Is An SSP Mustang? 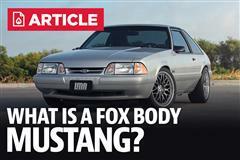 You've heard the term SSP Mustang, now find out what it means and what exactly an SSP Fox Body is. 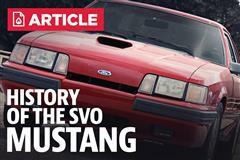 LMR walks you through the complete SSP Mustang history. 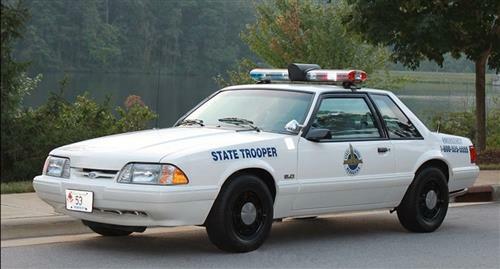 The SSP Mustang stands for "Special Service Package" and was a special edition Mustang created after a special project for the California Highway Patrol in 1982. 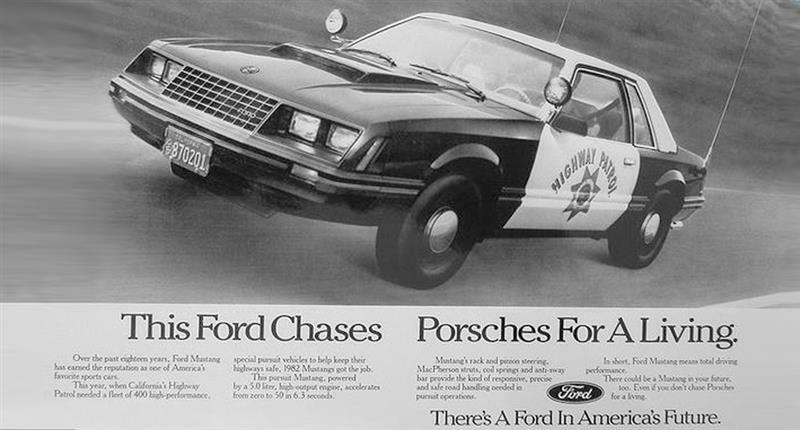 In the early 1980s, the concern Early in the year, the CHP reached out to Ford to test the Mustang as high speed enforcement vehicles. After a rigorous 18 month test of the 1979 Chevrolet Camaro, the California Highway Patrol chose not to keep the Camaro as part of their fleet. 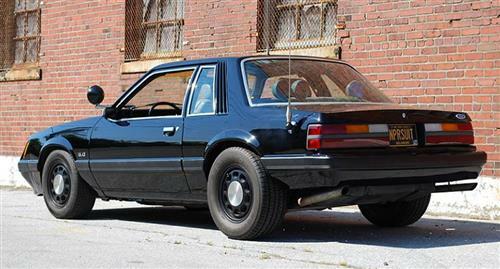 With the success of the CHP project, Ford decided to officially release an "SSP" package Mustang in 1983. 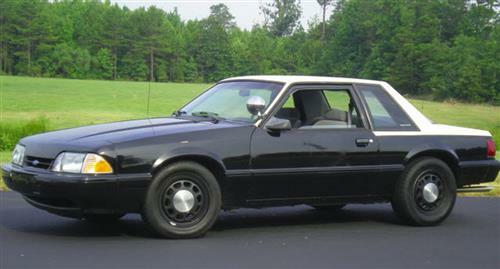 This Mustang would be available to other law enforcement agencies and would be made from 1983-1993. 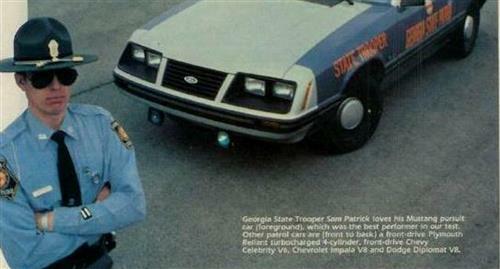 The SSP cars were outfitted with different features depending on the agency it was assigned to. Some of these upgrades included different paint schemes, power window, roll bars, and more. 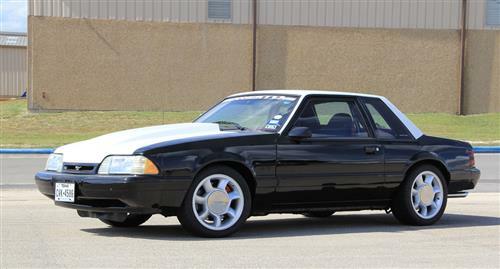 With the end of the Fox Body era, came the end of the SSP edition Mustang. 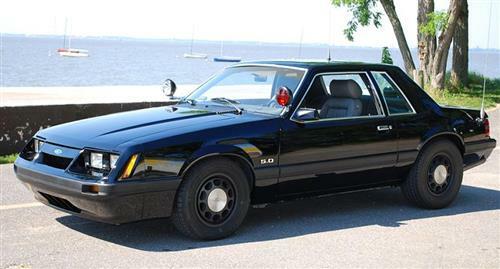 Ford did not continue the program into the SN-95 model, but the fan base for the SSP lives forever. 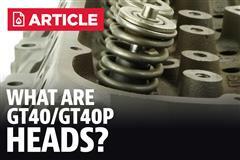 So what happened to over 15,000 SSP cars? The remaining cars that were retired are few and far between but can be found. Some have been used as police displays, used in DARE programs, and even a few remain on law enforcement fleets! At most Mustang car shows, you can usually find an original SSP car, and if you are lucky enough, one with working lights! Jonathan McDonald, AKA Jmac, owns an amazing Fox Body Mustang. This project car has graced the covers of our past Latemodel Restoration catalogs and has been featured in 5.0 Mustang Magazine. He built this project around a true Texas DPS Mustang Coupe. After multiple motor swaps, the final configuration is 4.6L 4V Cobra motor. Check out the video for all the details on car and how Jmac ended up at www.LatemodelRestoration.com. Check out our project car page for more information and pictures of Jmac's Mustang Coupe!! I ended up here at Latemodel probably-- well, no, it was in April of 2003. The how, I actually had a couple of opportunities. I went to college up here in Waco, and needed some parts. And a buddy of mine worked over at the other Mustang place. Well, they didn't have what I needed. Said hey, go talk to Shannon over at Latemodel. So I did, and he hooked me up. He had a clutch fork and a pivot stud, which was what was holding me up. And he offered me a job at that point. Well, I had already had everything lined up. I was going back home to my hometown of Victoria. Years later, I got a call form my buddy Scott, who I actually bought this car from, which is the car that I was buying parts for. Said hey, we have a sales position open here at Latemodel. We thought you'd fit perfectly. Not too long after I came to work here, there was another guy that they had hired into sales, had the desk right behind me. Started calling me Johnny Mac, and somehow or another that morphed into J-Mac, and it just stuck. I was probably about 14. A buddy of mine took me for a ride in his '88 GT, and that just sold me on the Fox Mustang. Just the looks, the feel, the power. It was a very good package for the time, and a few years later whenever I turned 17, I bought my first Mustang, which was also an '88 GT. Well, I grew up on a farm, so doing all your own maintenance and repairing everything, that was just something I grew up with. Buying that first Mustang, I did all my own repair work to it. And the group of guys that I was hanging around in high school, they started bringing me their cars, and before it was all said and done, I'd pretty much worked on every late model Mustang in the area. And then after I graduated high school, I got the typical parental talk, go to college, or get a job, or get going. Well, I decided to go to college, but in my mind, I took a little bit of an easy way out. I went to TSTC and got my associate's degree an automotive technology. Granted, it kind of worked out for me. I worked in industrial maintenance for a plastics plant for about a year, and then after that, I want to work for a Ford dealership for a couple of years. Got master certified, and I worked there until early '03 before I came here to Latemodel. There's a lot we can talk about on this car. I bought it in '99 from Scott, which is our general manager now, kind of the whole way that I got mixed into this group. It's been through, I don't know, three or four different motors, a couple of different transmissions, got different rear ends. This is the third paint job that's been on it. Whenever I originally tore it down and painted it back to the black and white color scheme this last go around, it was intended to be a drag car. And I had a 351 Windsor that I was going to put in it, fuel injected, and it was going to have full suspension, and it was just going to go fast in a straight line. Well, after coming to work at Latemodel, and Shannon introduced me to taking corners at speed, and I was hooked on that from that point. And shortly after an '01 Cobra motor landed in my lap pretty much, so the car took a whole different direction, ended up with a mod motor, ended up with a full corner-carving suspension, full on [INAUDIBLE] brake setup, big wheels and tires. I mean, it's like driving a 300 horsepower go cart. There's been just a few Mustangs. Granted, this is the longest I've ever owned a vehicle. It is this '93 coupe here. But I've also own an '01 GT, bought it new. Had a '92 Calypso Green coupe that I converted from four cylinder to a 5.0. Then I had a '93 Reef Blue couple, which is one of the few cars that I really regret selling. Had a '98 GT. Bought an '07 GT and had a lot of fun with it on the track. I mean, the newer body style is just so capable right out of the box. Hadn't owned a Coyote yet. I've been eyeing those with the evil eye, but as of yet, nothing new in the stable. Worked on plenty of them, but just hadn't convinced the wife that putting one in the garage is the right thing to do yet.